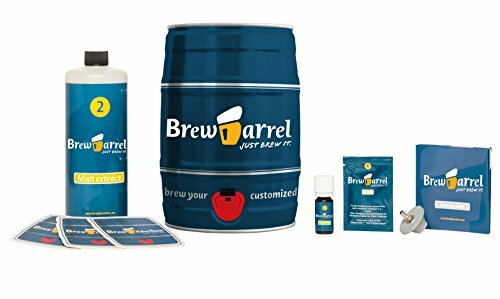 The Brewbarrel Home Brewing Kit is the fastest and easiest way to brew your own beer. It is an exceptional gift for every occasion. It contains a 5 liter keg (1.32 gallons or 10 ½ pints) and all necessary ingredients to brew your own beer. Due to an innovative brewing process, specifically developed for home brewing, you can tap your home brewed beer after just one week. 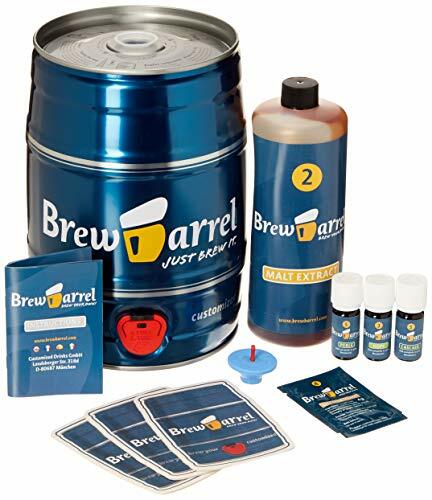 Brewbarrel is different from other home brewing starter kits because: The brewing process is specifically developed for small scale brewing and therefore takes only one week. There is no cleaning effort needed to prepare the brewing process and therefore it takes only 10 to 15 minutes. 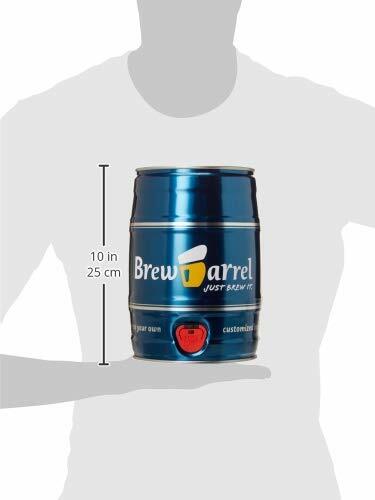 The beer can be directly taped from the keg. The Brewbarrel HOME BREWING KIT is the Fastest and Easiest Way to Brew Your Own Beer at Home The Home Brewing Kit is the Perfect Gift for all Men, Home Brewers and Beer Connoisseurs Everything is Included. You won't need Equipment, Bottles or even prior Knowledge of home brewing to enjoy the Brewbarrel Home Brewing Experience! Preparation for your Brewing Kit only takes Ten Minutes, no Cleaning or Fuss Needed. Enjoy your Home-Brewed Beer Fresh from the Integrated Tap after just one Week MADE IN GERMANY! Brew your own German beer with original German ingredients and no carbonation drops needed, all natural carbonation.